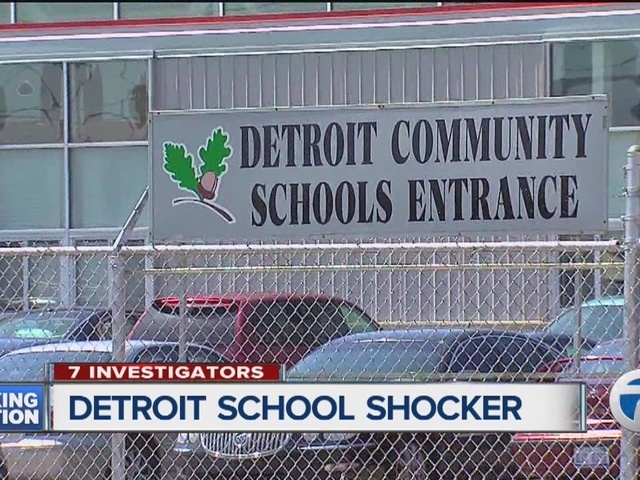 Top administrators running a Detroit charter school may be more familiar with a courtroom than a classroom. Some administrators became famous because of close ties to former Detroit Mayor Kwame Kilpatrick who is now serving 28 years in prison on a Federal corruption conviction. The top administrator of the charter "Detroit Community Schools" is Sharon McPhail. She's been low key at the school for almost four years. She's been high profile in the past as one of the attorneys working for the former mayor and she was elected to the Detroit City Council. The Michigan Department of Education confirms to 7 Action News that an investigation found McPhail and one other administrator, Echelle Jordan, are not in compliance with state certification requirements. A letter from the State of Michigan Department of Education indicates that the administrators out of compliance will be financially penalized in the upcoming school year and suffer state aid deductions. McPhail told 7 Investigator Jim Kiertzner back in April that people make mistakes and that should not keep them from working. McPhail also says the state investigation. "will be dealt with." McPhail's title on the school website changed from Superintendent to CAO after questions were raised.